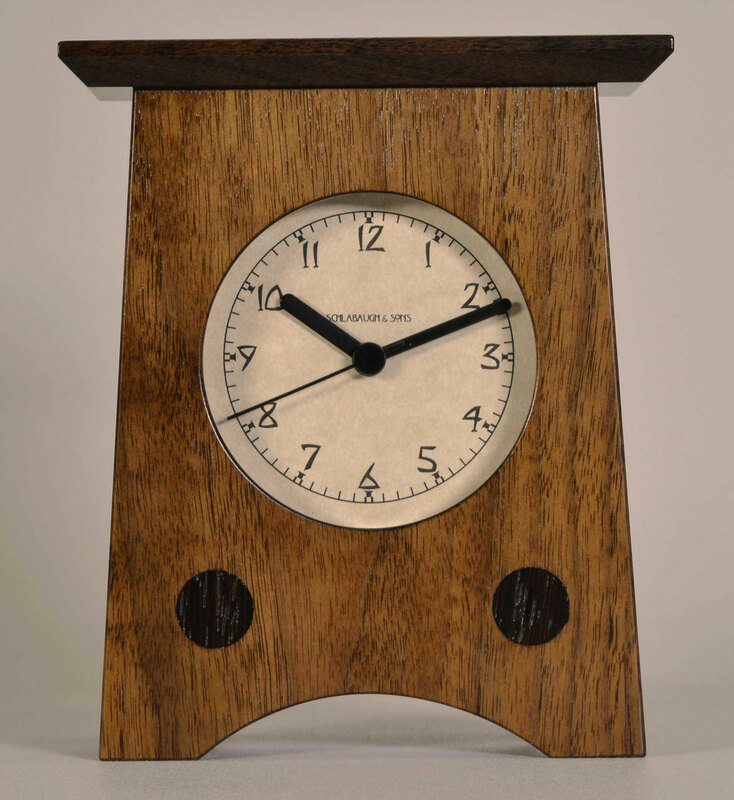 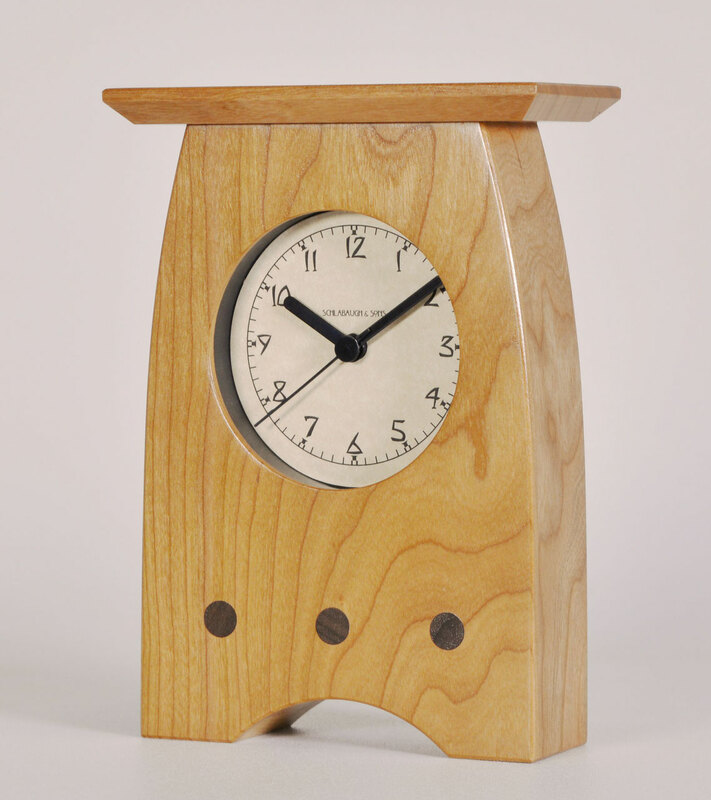 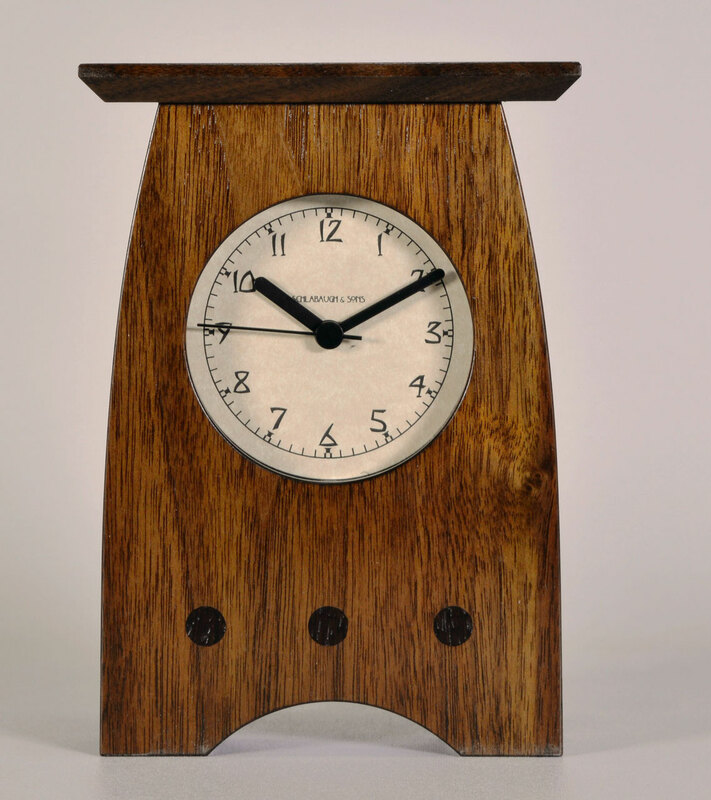 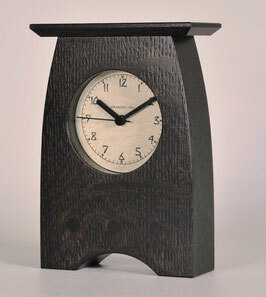 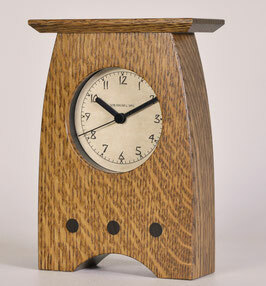 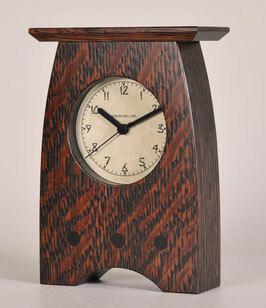 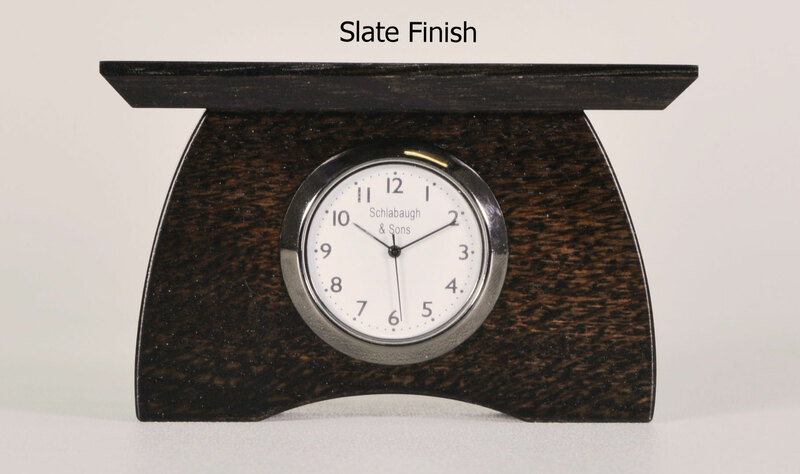 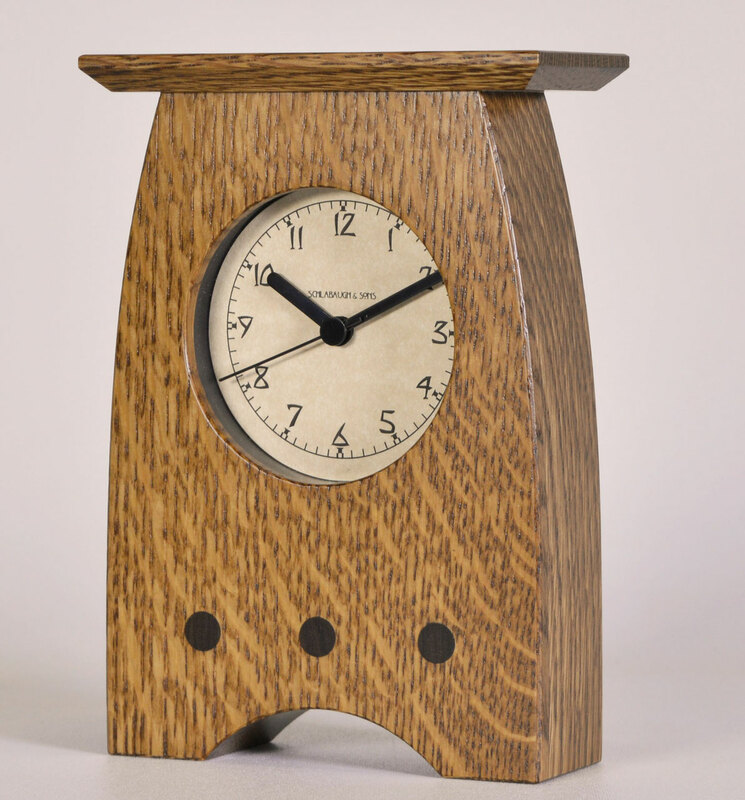 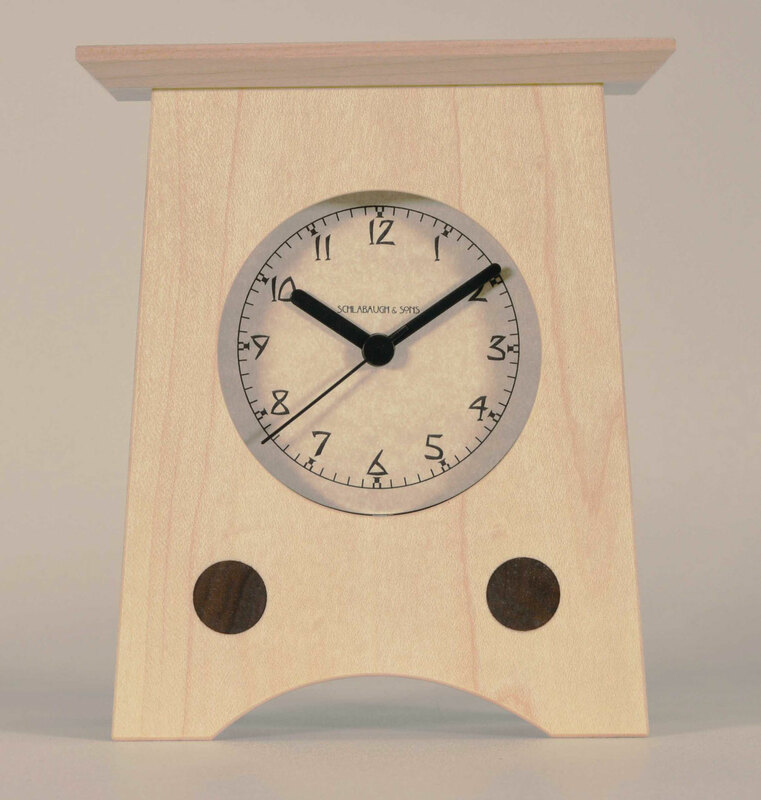 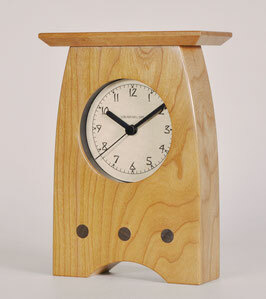 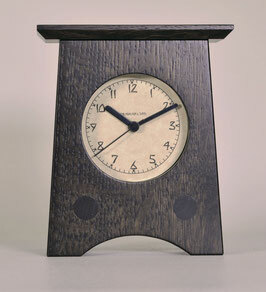 2.5"W x 2.75"H x 1.5"D Great Desk or Shelf Clock!! 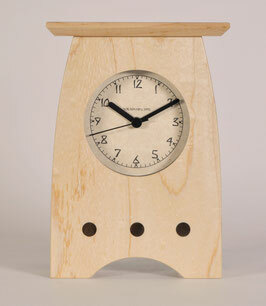 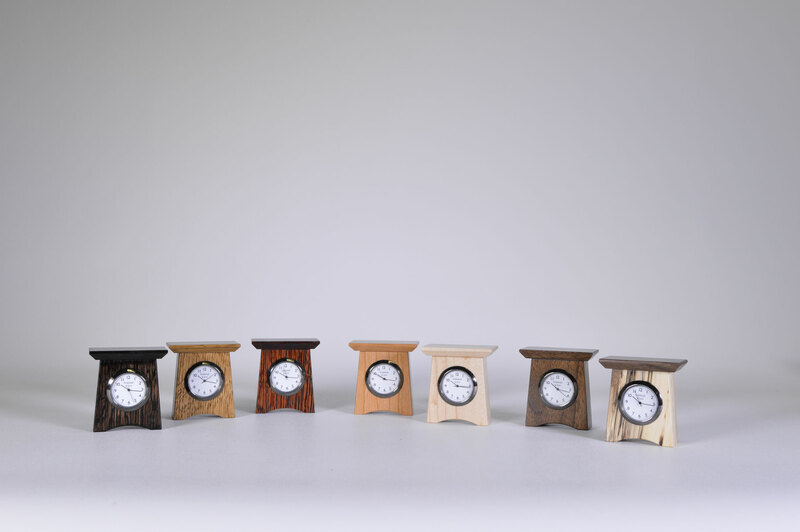 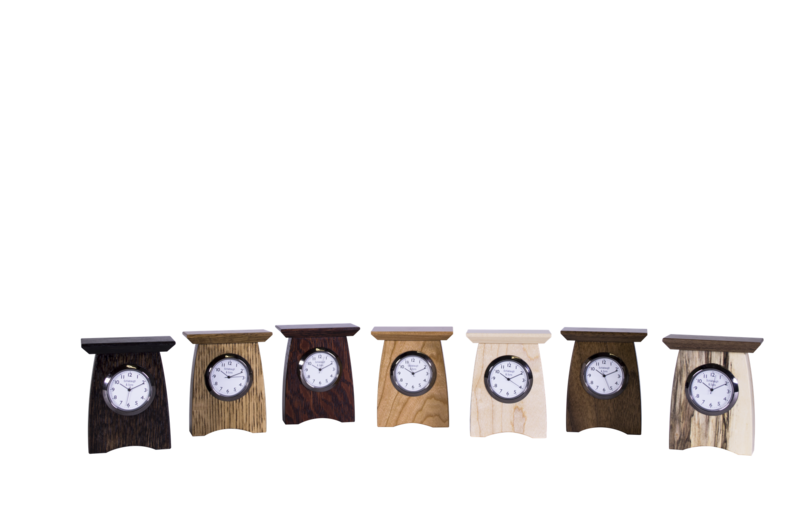 Great Desk or Shelf Clock!! 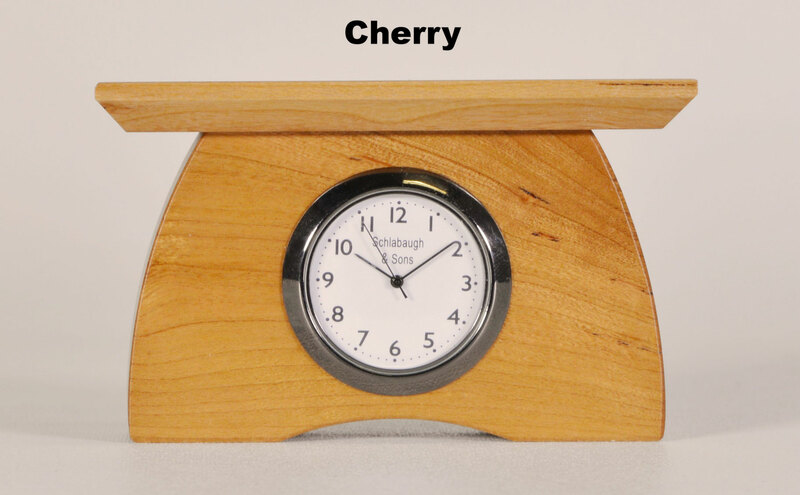 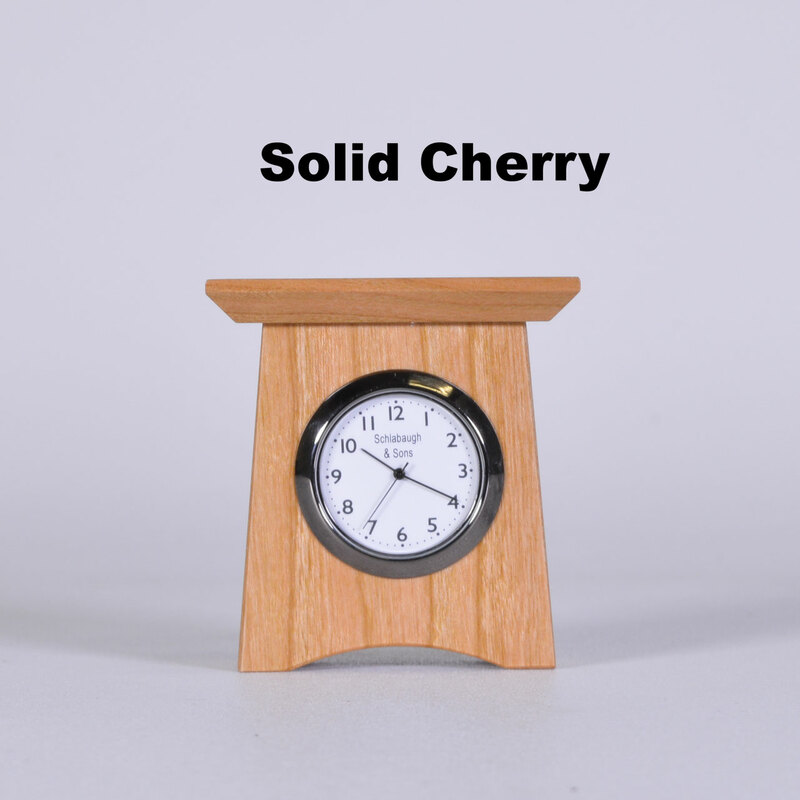 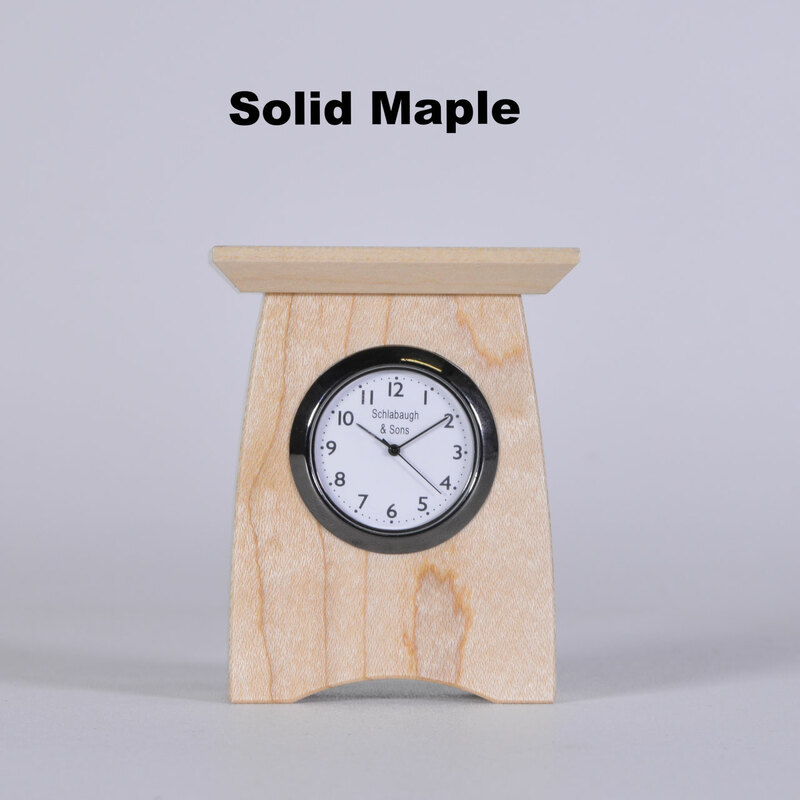 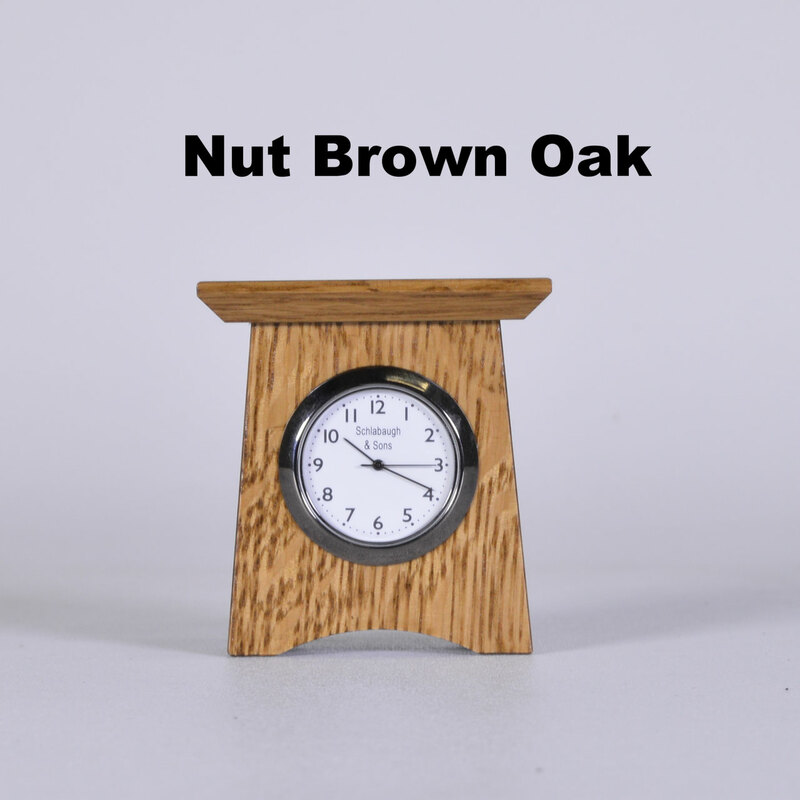 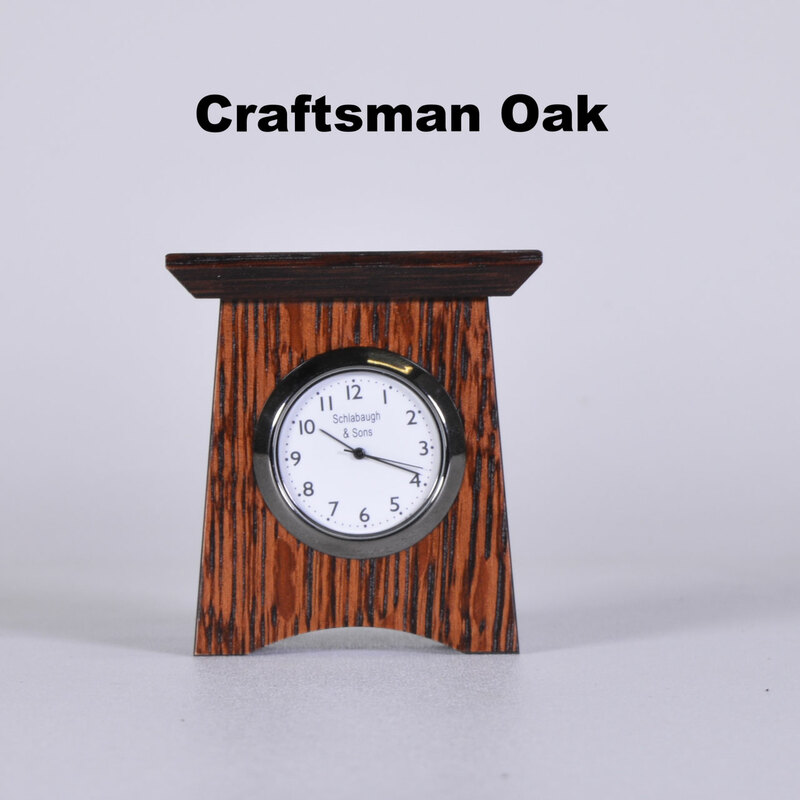 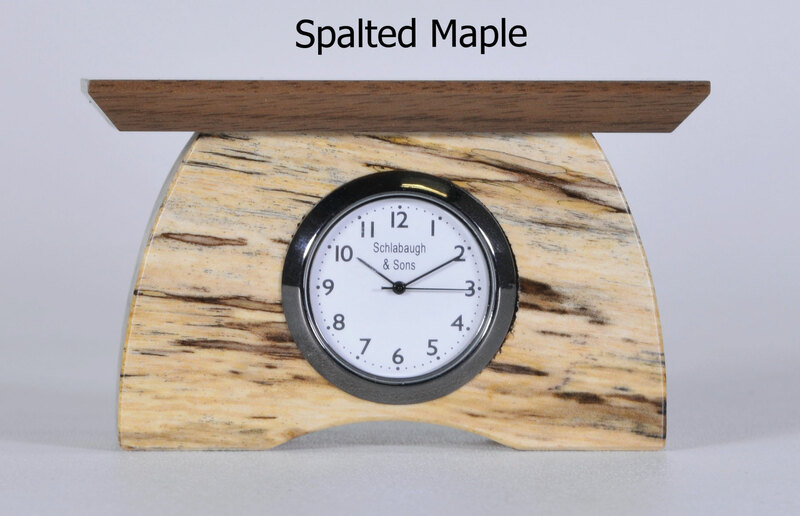 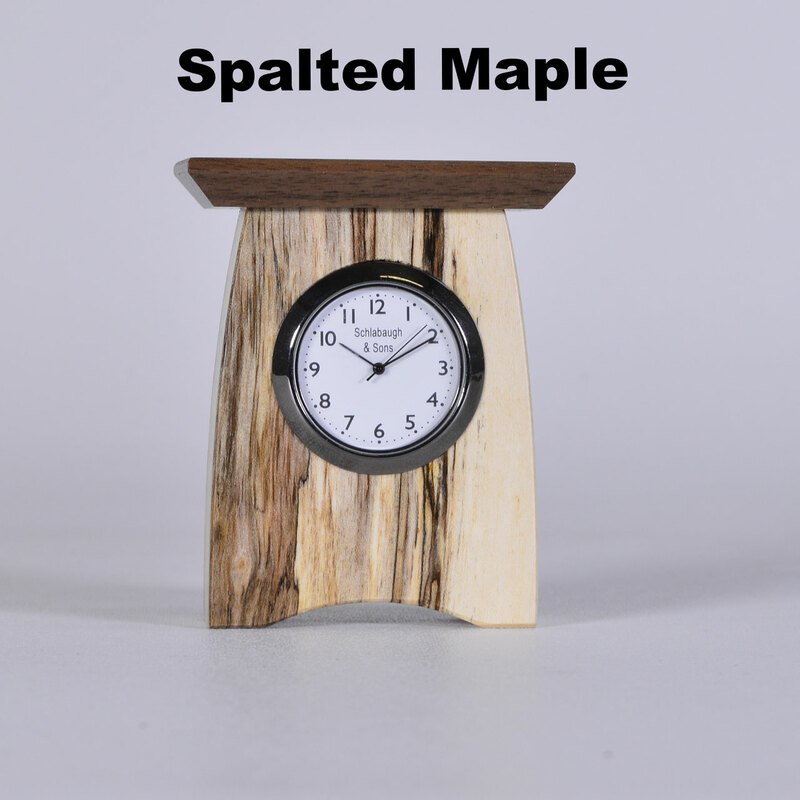 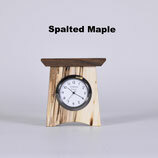 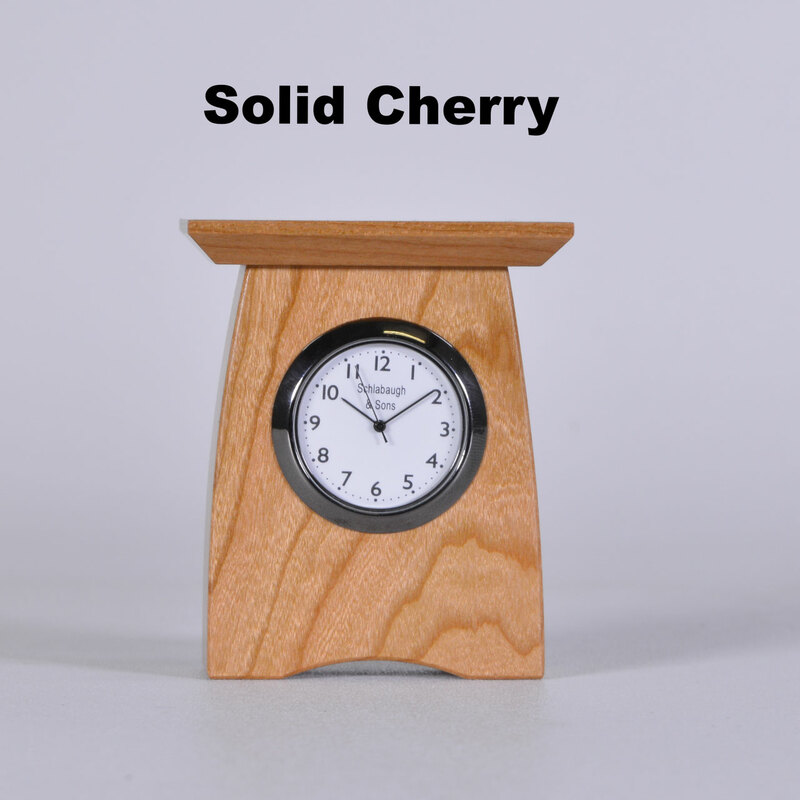 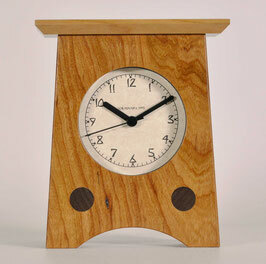 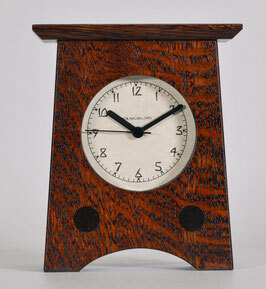 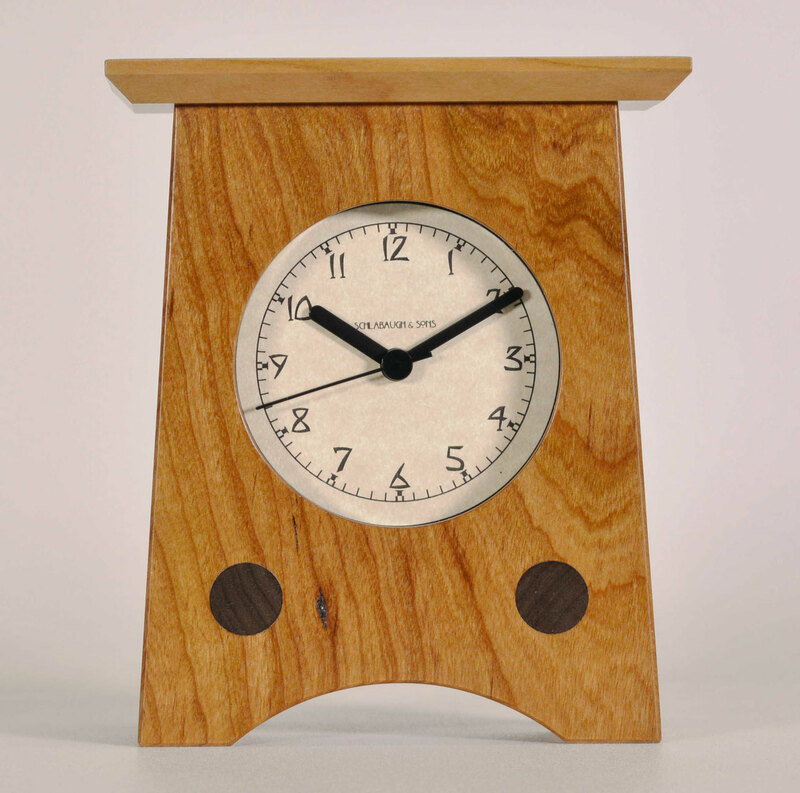 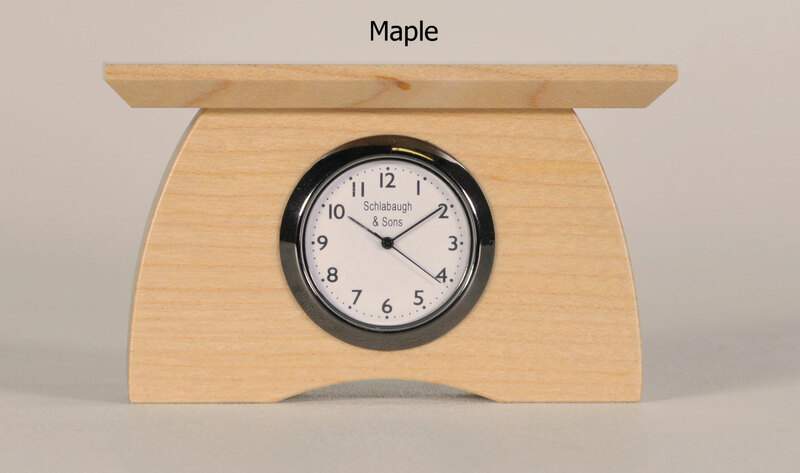 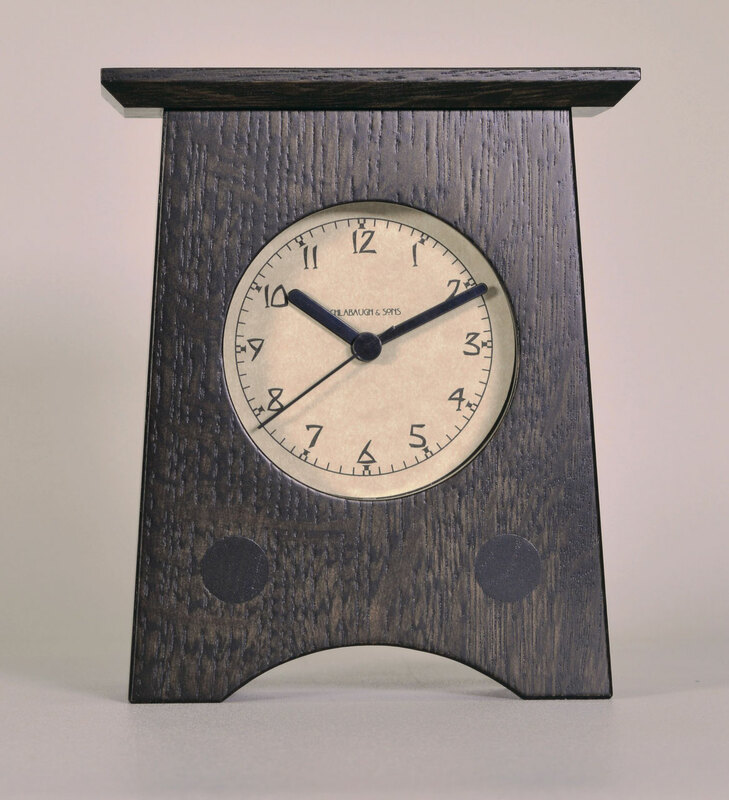 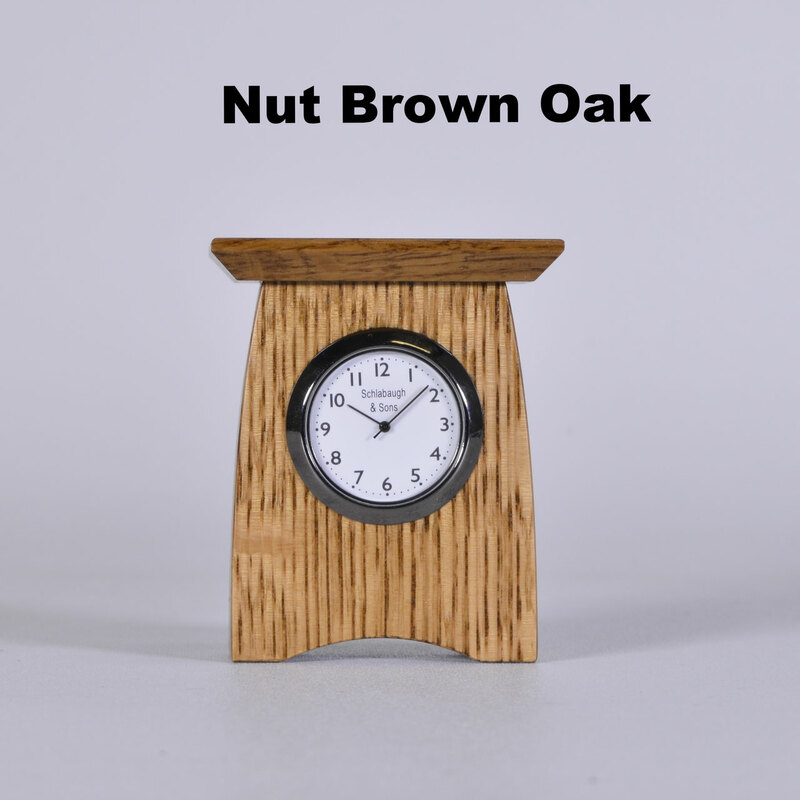 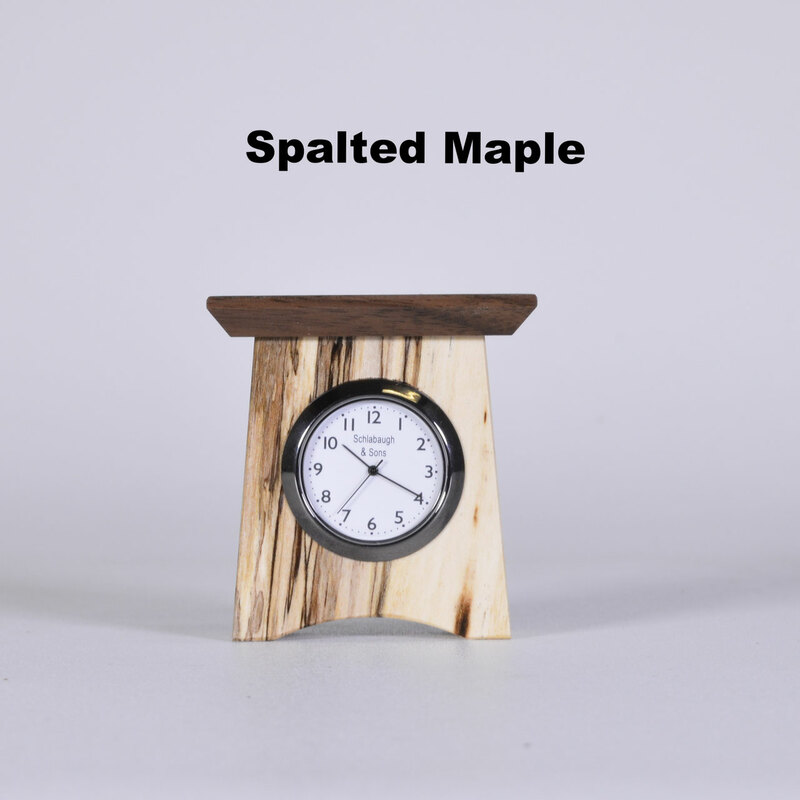 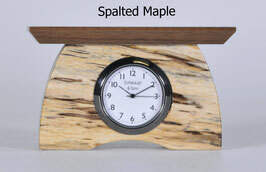 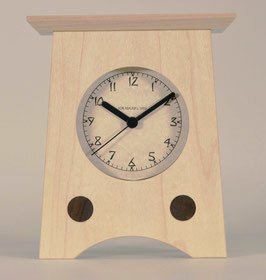 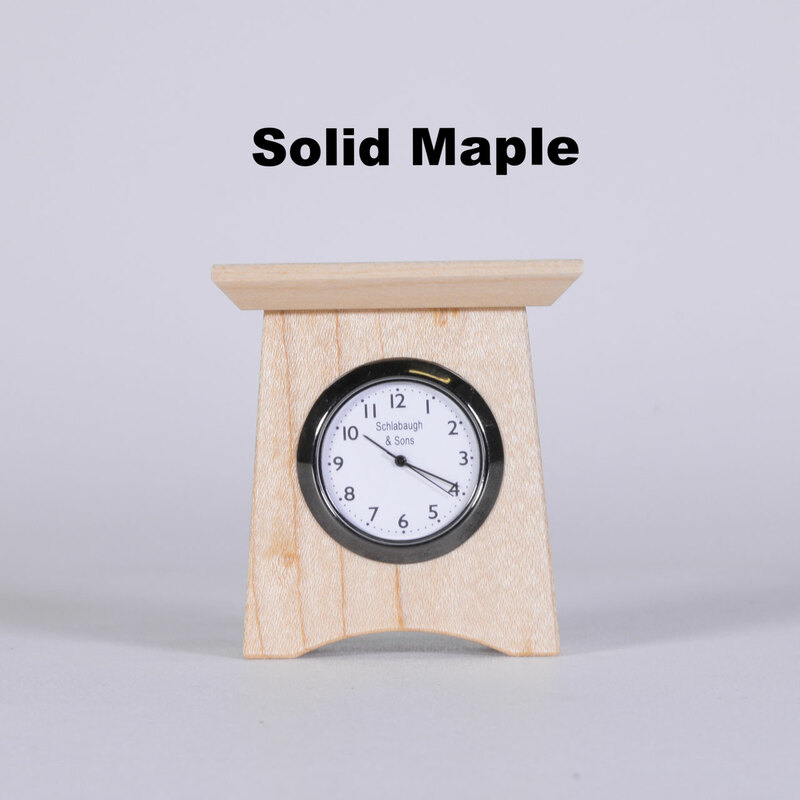 2.5"W x 3"H x 1.5" D Great Desk or Shelf Clock!! 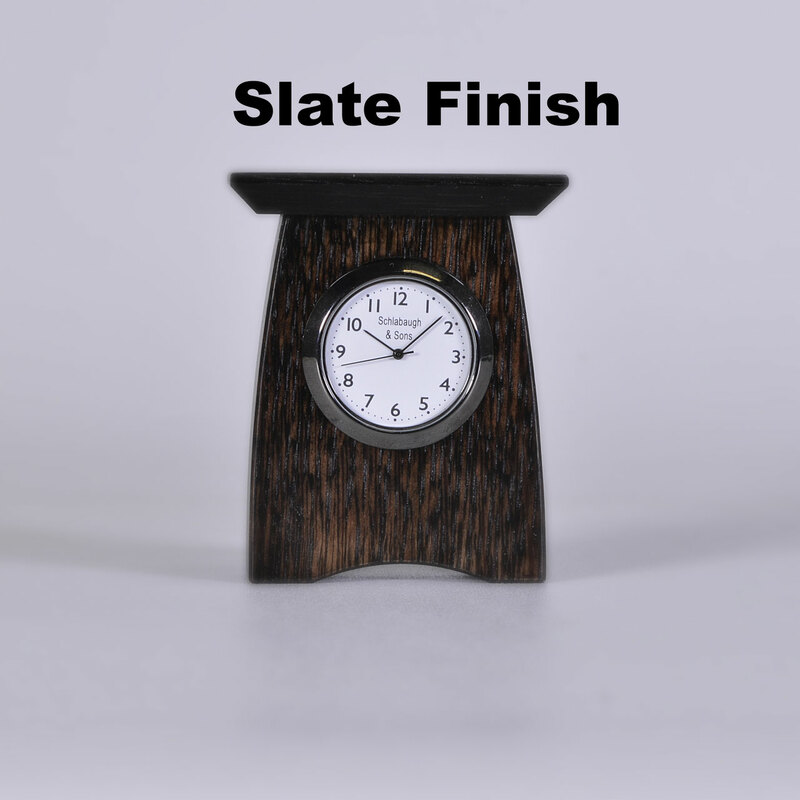 Use the drop-down box to indicate your choice of wood/finish. 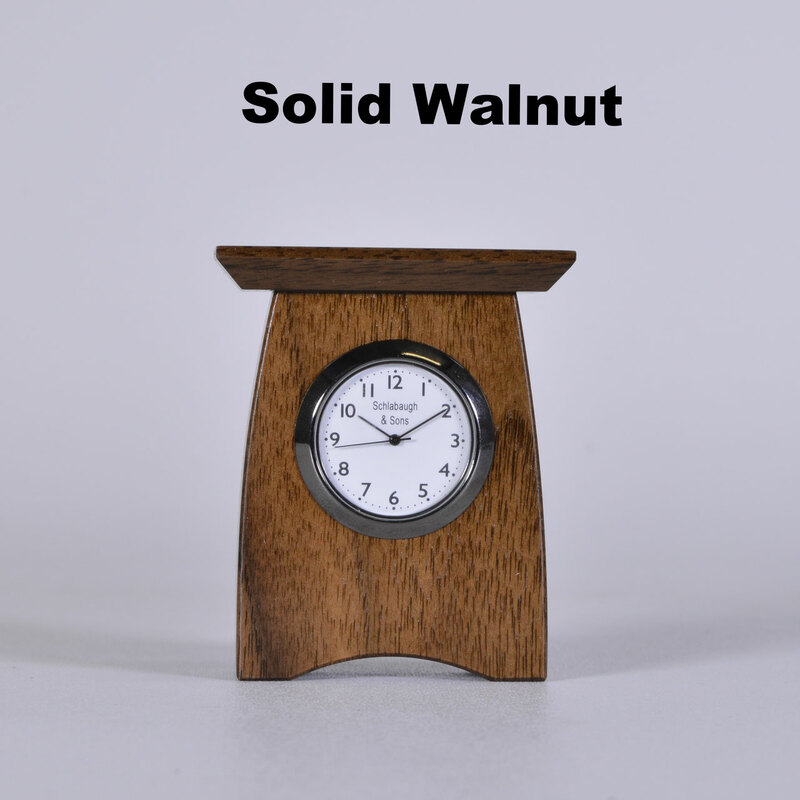 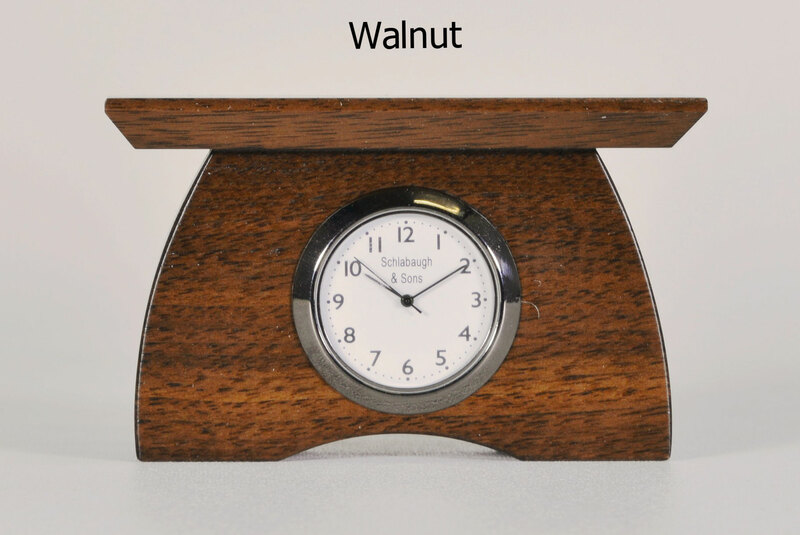 Solid Walnut with natural finish. 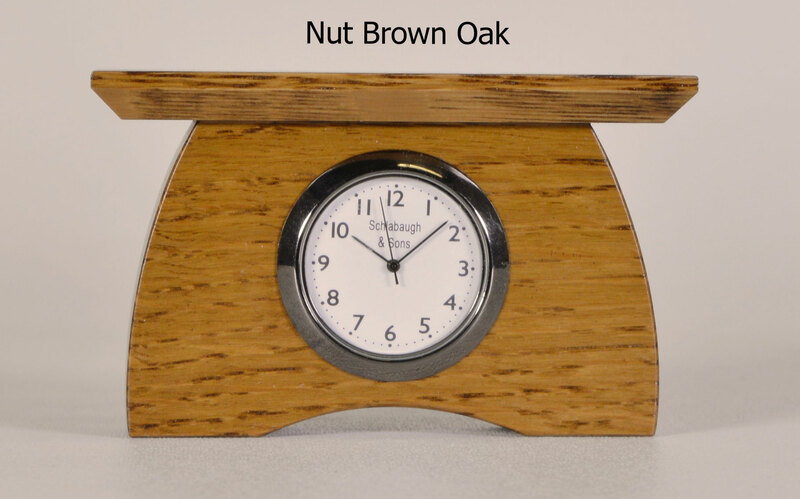 Quartersawn White Oak with "Nut Brown Oak" finish and wenge wood accents. 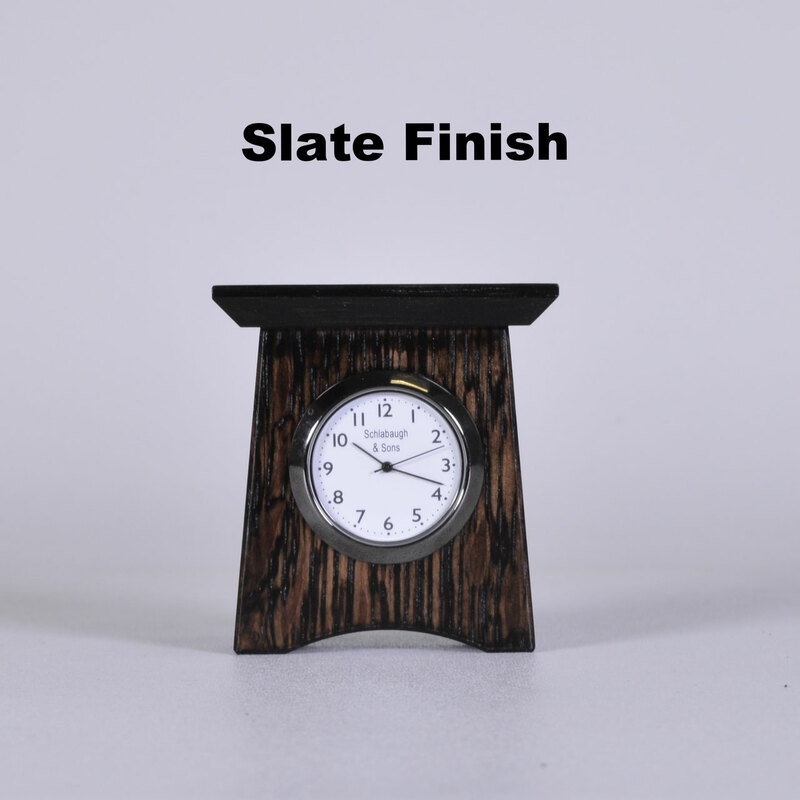 Quartersawn White Oak with "Slate" finish and wenge wood accents. 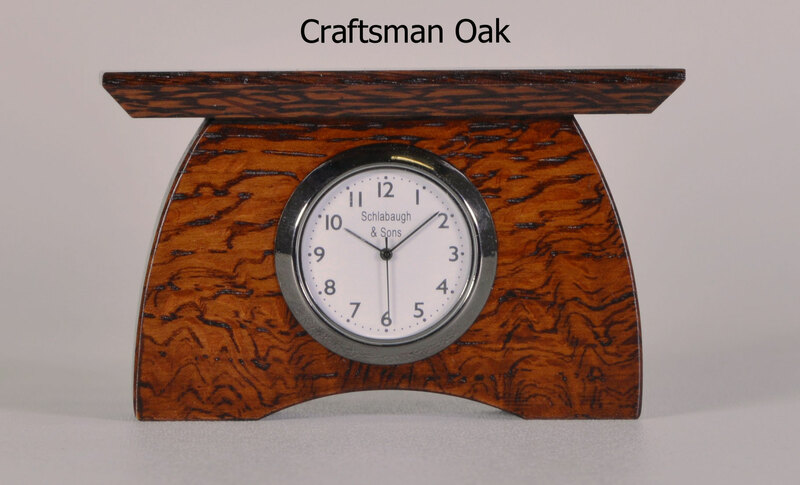 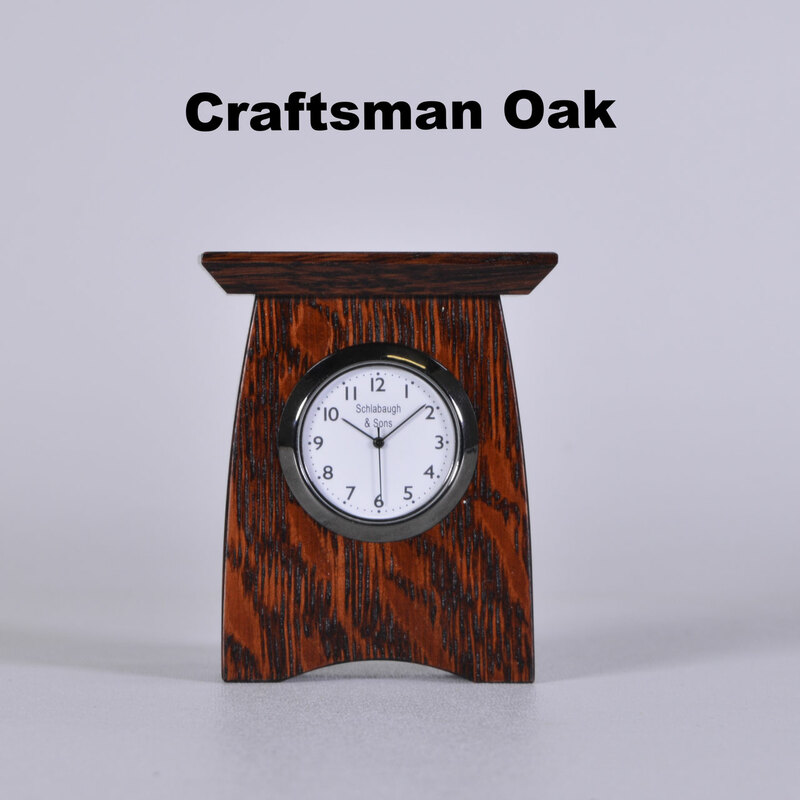 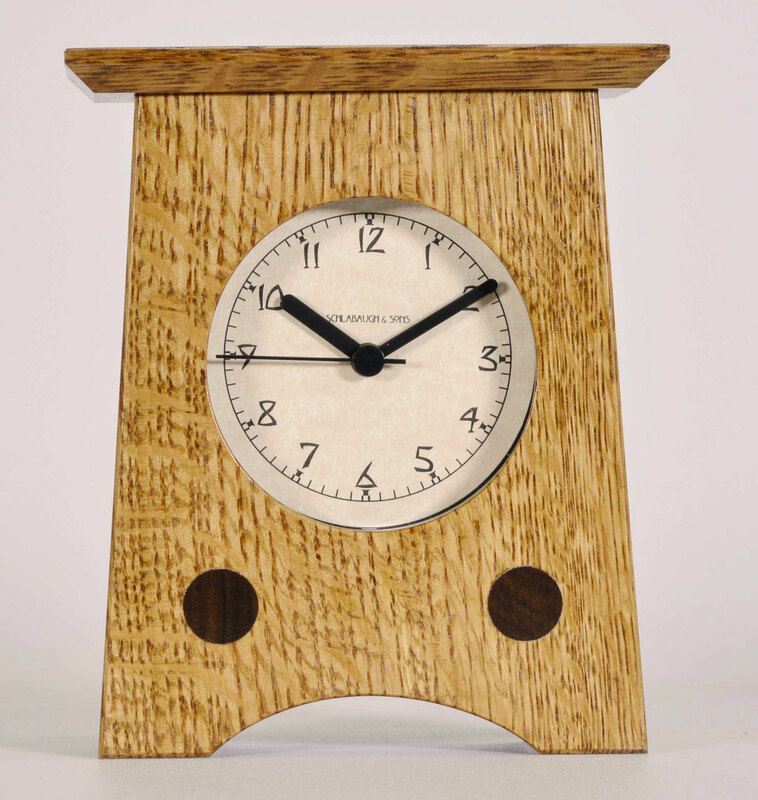 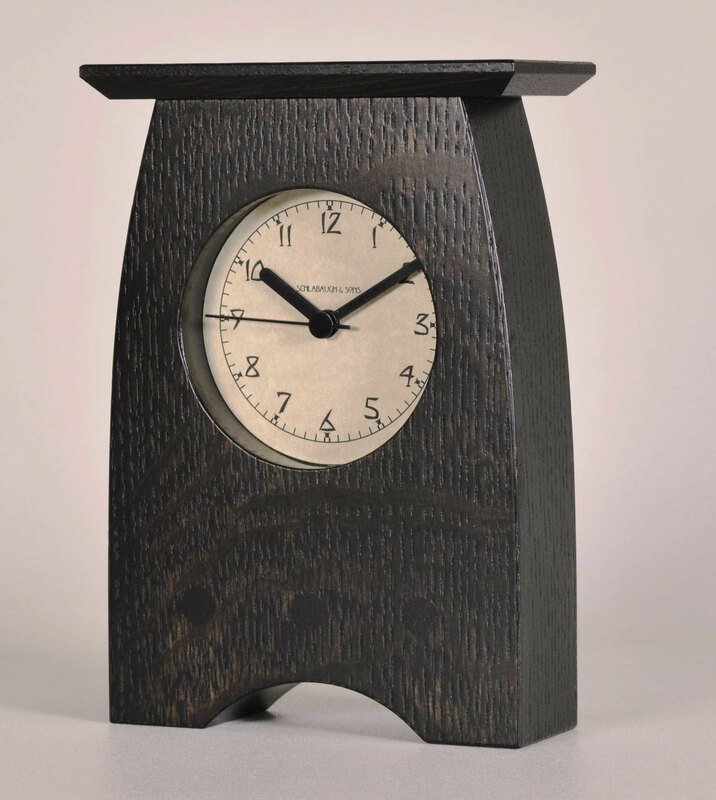 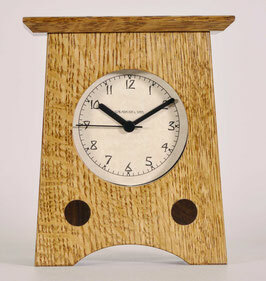 Quartersawn White Oak with "Craftsman Oak" finish and wenge wood accents.